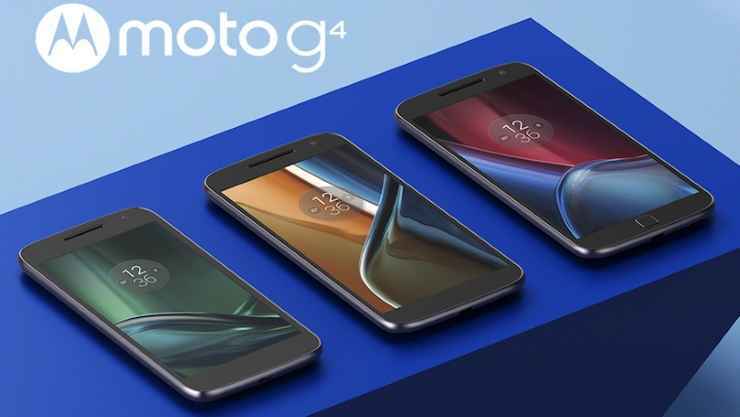 Last month, the Lenovo owned firm Motorola launched the fourth-generation Moto G smartphones in India, the Moto G4 and the Moto G4 Plus. While the Moto G4 Plus has already gone on sale on Amazon India, they mentioned that the Moto G4 will be available sometime in June. Now, Motorola has officially confirmed on Twitter that the Moto G4 will go on sale starting June 22. Both the Moto G4 and Moto G4 Plus are almost identical in looks. They feature a metal trim, sleek and slim body and thickness of just 7.87 mm. At the back, both smartphones have a textured finish to offer a good grip to hold the smartphone. In terms of hardware, the Moto G4 Plus is slightly powerful compared to the Moto G4 as it comes with expandable storage, slightly higher-resolution camera and also features a fingerprint scanner. Moto G4 plus has a 5.5 inches (1080p resolution) display protected by Corning Gorilla Glass 3 which is considered to be a much needed upgrade by the company. The device is powered by Qualcomm’s Snapdragon 617 octa-core processor paired with 2 GB RAM and 16 GB internal storage, there is no option to expand it further. The device runs on Android Marshmallow 6.0 OS. In the photography department, the Moto G4 sports a 13-megapixel rear snapper of aperture f/2.2. Up front, is a 5-megapixel selfie camera with 84 degrees wide angle lens. The device is backed with a 3,000 mAh battery along with TurboPower charging support, connectivity options include dual-SIM card slots, 4G LTE and VoLTE support, Wi-Fi, Bluetooth and GPS. The price of Moto G4 phone is yet to be announced. While, the Moto G4 Plus is priced at Rs 13,499 for its 2 GB RAM and 16 GB ROM variant and Rs 14,499 for its 3 GB RAM and 32 GB ROM variant and is available exclusively on Amazon India. 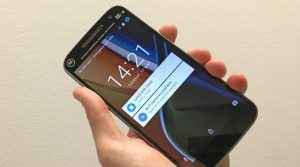 It would be interesting to see how aggressive can Motorola go with the pricing of Moto G4.